Ablaze with guns and guts and glory! Randolph Scott headlines as a star-studded cast in this yarn about battling homesteaders. 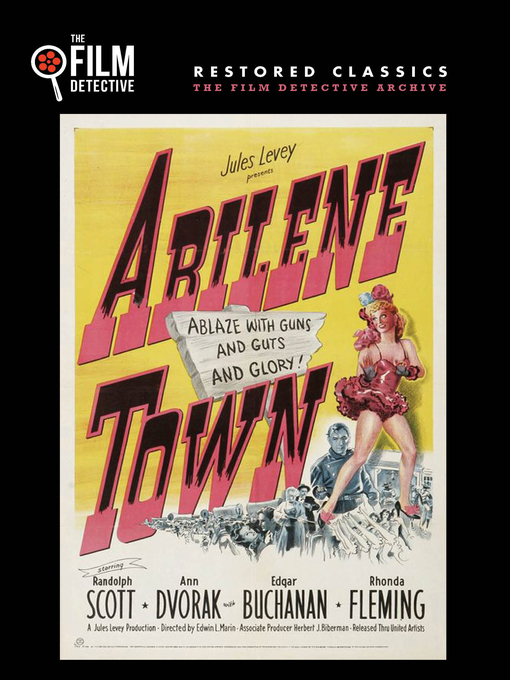 Director Edwin L. Marin (Tall in the Saddle) spins this dramatic post-Civil War tale that takes place in the legendary cow town of Abilene, Kansas, coaxing fine performances from the likes of Ann Dvorak, Edgar Buchanan, Thonda Fleming, and Lloyd Bridges. Saddle up and hang on!